Speaking about how she met hubby Wissem Rhkami, Cai Cortez said, "May true love sa Tinder." And we totally believe her! Don’t get us wrong—there are definitely those who only use the dating app for casual hook-ups, but finding love isn’t impossible. If you’re still holding out hope of finding "The One" on Tinder, apparently, the best time to swipe your brains out is on the first Sunday of the year! Yeah, we know, technically the first Sunday of 2017 was on January 1, but people were probably too wasted to swipe for real love then. LOL! January 8 is Tinder’s official "Dating Sunday" this year. 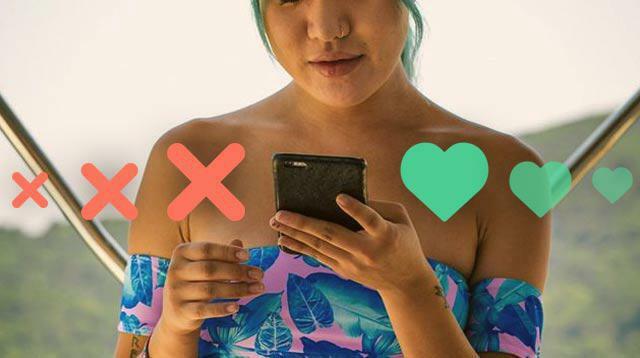 According to Tinder sociologist Dr. Jess Carbino, "Typically, we’ve seen a spike in people joining and using Tinder at the beginning of each year. With the close of one year comes new beginnings in the next, and during the last few weeks of the year, people often take time to reflect on their accomplishments, failures, as well as reassess how to improve their lives in the New Year—especially in the romance category."